Fiber optic networks are the future of the Internet: they provide faster broadband speeds to residential and commercial users and lay the foundation for 5G services to come. As city governments and technology companies, like Google, grapple with who should build these fiber networks, one thing is clear: the success of each project will depend on how well the network is installed and protected from weather damage, tampering and vandalism. Fibrebond’s specialization in equipment shelter development and installation, and our history of supporting the growth of the telecommunications industry, makes us the perfect candidate to support the growth of future fiber optic networks. A growing number of cities are looking to implement fiber optic cables to improve their city’s infrastructure, the connectivity of their constituents, and give them a competitive tourism and resident advantage over other towns. Further, building a fiber network encourages investments from innovative regional and national companies that might have otherwise ignored a town. While cities debate the merit of building fiber cables themselves, technology companies are passing them by and building the networks themselves. This tension between public and private utilities isn’t a new phenomenon; in fact, it stems back to the early 1900s, with related utilities. In the 1930s, President Franklin Roosevelt sought to form public power companies to keep rates controlled and make power available to all. He failed against powerful interest groups, leaving power to be controlled by private companies. The batter for power in the 1930s, has given way to a battle for fiber optic-powered Internet access today, and corporations have a large head start. Google Fiber is leveraging existing network infrastructure in towns like Huntsville, Ala., and San Francisco, Calif., to bring fiber optic cables to the cities. Once the network is in place, Internet services will be rolled out to apartments and condos initially for free, and possible for a fee in the future. Google has stated that they plan to provide fiber optic Internet access for free to certain public and housing projects in the towns they support. The development of these new physical network systems is an exciting one, and Fibrebond is poised to help cities and companies embarking on new fiber optic cables protect their worthwhile investment. Light Brigade provides training, education, and certification in Fibreoptics. 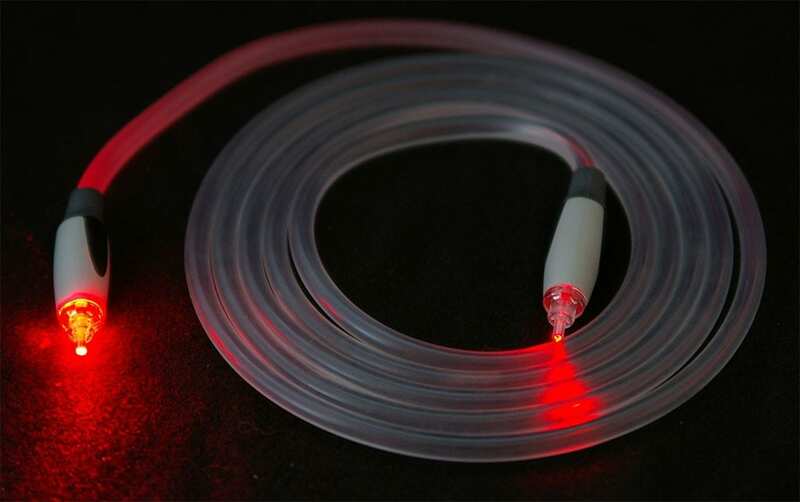 Around According to President of The Light Brigade Larry Johnson, Fibrotic installers “tackle the challenge of meeting the demands of high-speed Internet, data centers, new networking solutions with fiber optic cabling. We are constantly challenged to install facilities that have a barrier to obsolescence and maximum durability.” Fibrebond is the premiere manufacturer suited to meet these demands for high speed Internet through its unmatched quality production and installation processes. Interested in bringing fiber optics to your town? Make a request with your city’s leadership to have a fiber network put in place for higher Internet speed and better connectivity, and explore Fibrebond.com for more helpful insights and resources.